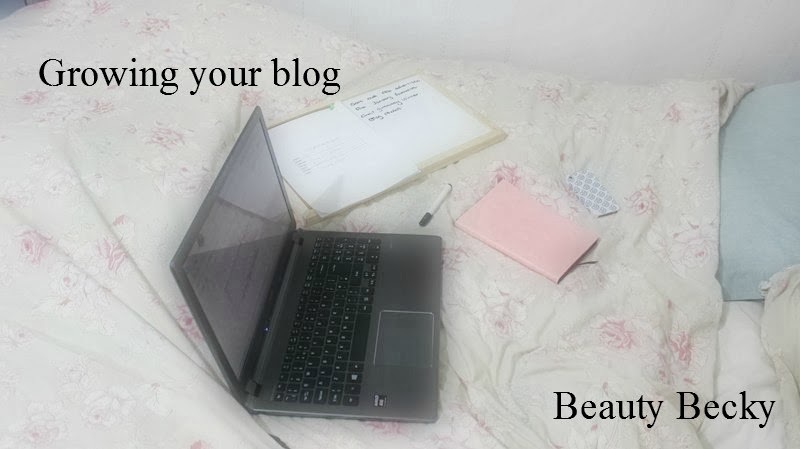 My first post in this little series was on starting a blog, so today's is going to be about growing your blog. Your blog will not grow overnight and it does take some time for people to discover it, so here are my tips for getting a bit more exposure. I mentioned in my first post that it is a good idea to secure social media accounts all with the same name. I think social media is one of the best ways to let more people know about your blog, and also find new blogs to read yourself. Twitter is my favourite and a brilliant social media platform. Regularly throughout the week there are Twitter chats, which I would highly recommend getting involved in. Every Wednesday and Sunday evenings there is a beauty blogger chat, plus there are ones for fashion, lifestyle and lots of other bloggers! It is also a great way to build relationships with other bloggers and PR companies. You are able to chat with people from all over the world which is amazing! Socialising and staying active on social media accounts is great, as other bloggers can talk to you, ask you questions and I have made some lovely friends through blogging! If people ask me questions in the comments, I will always try and reply to them. I read all of my blog post comments and they make me so happy. Advertising on other blogs is a good way to gain more exposure for your own blog. Lots of bloggers offer advertising, which can include anything from having your button in their sidebar, to having a post written about your blog and tweets promoting it. I love advertising on other peoples blogs, as there are always some lovely new followers that say hello to me which I love. If you would like to get an idea of what advertising can include, I have a page dedicated to it here. Ugh I totally agree. I hate it when people comment saying 'follow me back', it's so obvious they've just copied and pasted the same blurb onto your latest post. I follow hundreds of blogs on bloglovin and I can honestly say I try and read as many as I can! I like this blogging series of posts girl. great post with some lovely tips! I love these kind of posts, something a little different and always a good read! Great advice! Ive been blogging almost 2 years and its taken me this long just to understand everything blogging related! Nothing happens overnight, take your time and work hard and you'd be surprised at the results! Lovely tips :) Still yet to join twitter for my blog! this was really a helpful read-thanks!